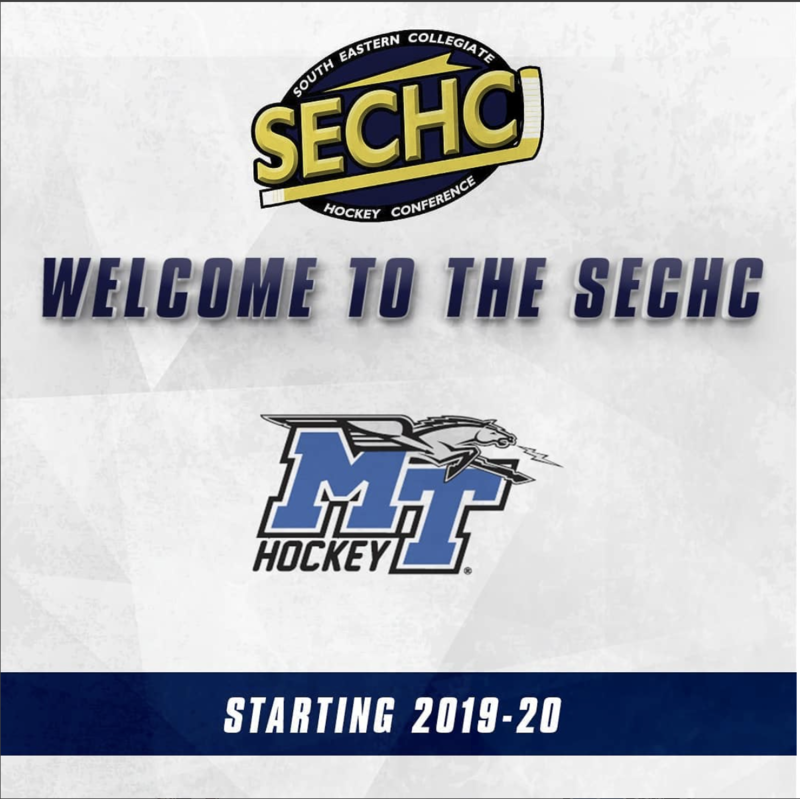 The Middle Tennessee State ice hockey club recently announced it will be joining the Southeastern Collegiate Hockey Conference (SECHC) beginning in the 2019-20 season. 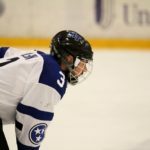 “It just made sense when Justin Bradford became commissioner,” MTSU hockey coach Jasen Riherd said. “He realized this could become a force in the south. Now, here we are part of a top-tier hockey conference." 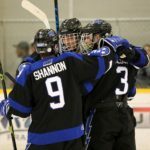 Entering its 11thseason, the SECHC also recently added Clemson, Florida State, Kenesaw State and the University of Alabama-Huntsville, as well as MTSU, in the conference’s first expansion since 2010. 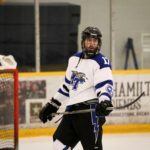 MTSU has been an independent hockey club since its inception in 2015-16. 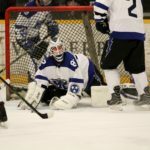 As part of the American Collegiate Hockey Association, club-level and non-varsity teams don’t have to abide by the same conference guidelines Division I programs do. Riherd has been with the club since the beginning and eyes the new conference as a golden opportunity to not only grow the sport, but introduce a new generation of kids to the possibility of playing college hockey. “It’s going to open up a lot of recruiting doors,” Riherd added. “There are guys who grow up fans of Georgia, Auburn and Georgia Tech, and they may not the degree they want to have, so the next best thing is to play against them. I think that naturally is the next step to bringing kids in here. With an already strong and growing congregation of hockey fans thanks to the Nashville Predators, hockey has grown in popularity ever since the early 2000s. 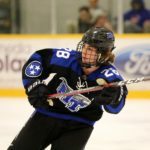 With Vanderbilt and MTSU now taking their in-state rivalry to the ice rink, plus the growing popularity of the GNASH high school hockey league, the sky really is the limit on how big hockey can become in the south. The Georiga Bulldogs came into Nashville for a battle against your Middle Tennessee Blue Raiders. The Raiders struggled with penalties which hurt them in the end. The next game for your Raiders is November 2-3 as they travel to Florida. 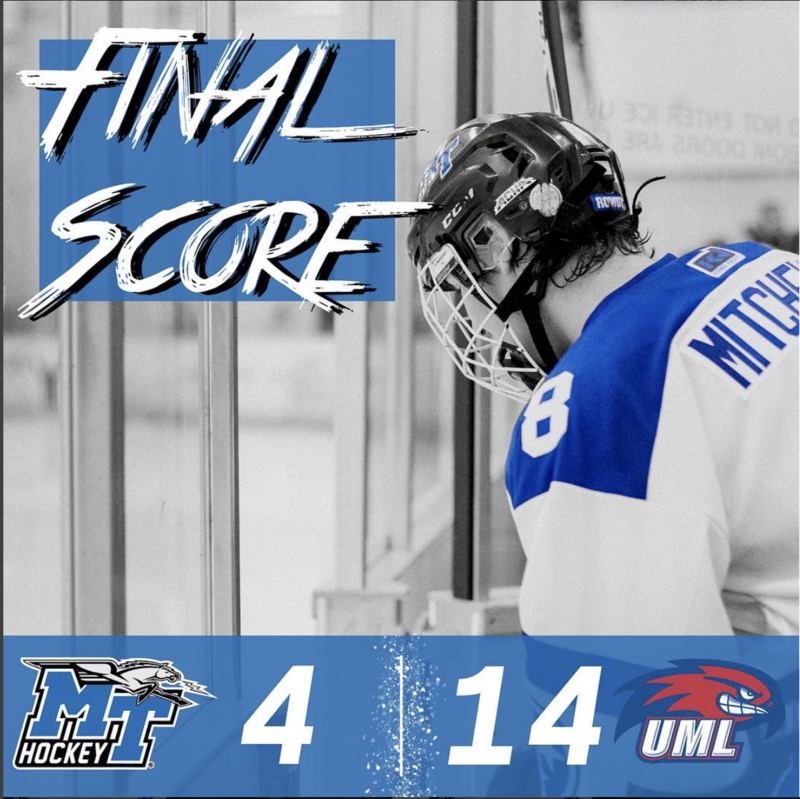 Your Blue Raiders drop their first game of the season against Umass Lowell. The Raiders fought hard against the Riverhawks but ultimately came up short. 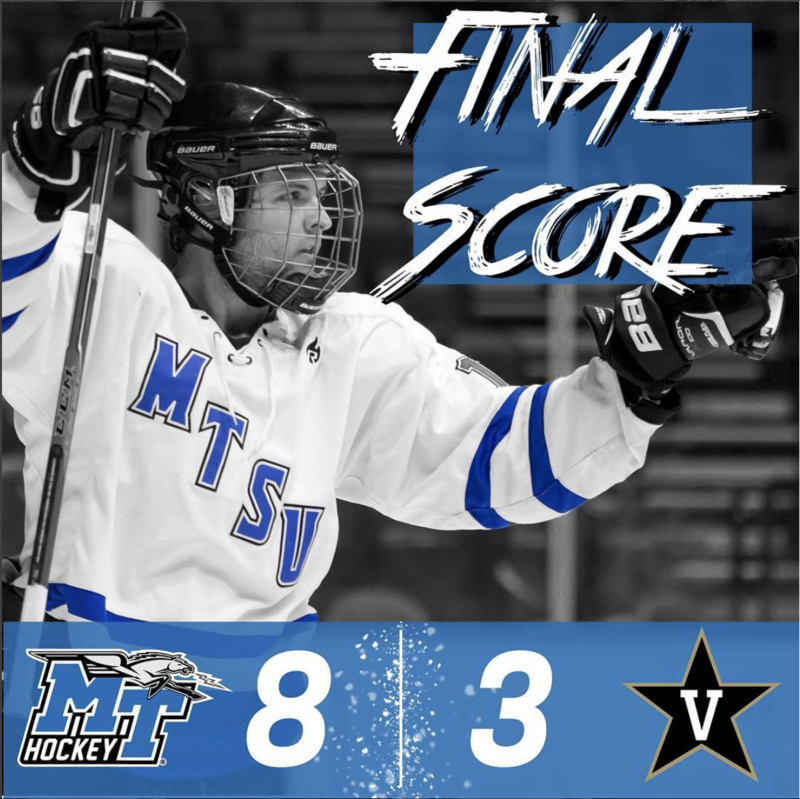 ANTIOCH – The MTSU hockey team kicked its season off with a bang on Friday night, downing the Vanderbilt Commodores 8-3 at Ford Ice Center. It was a close game for the first two periods. It was tied 1-1 after the first, and MTSU held a 3-2 lead after the second. 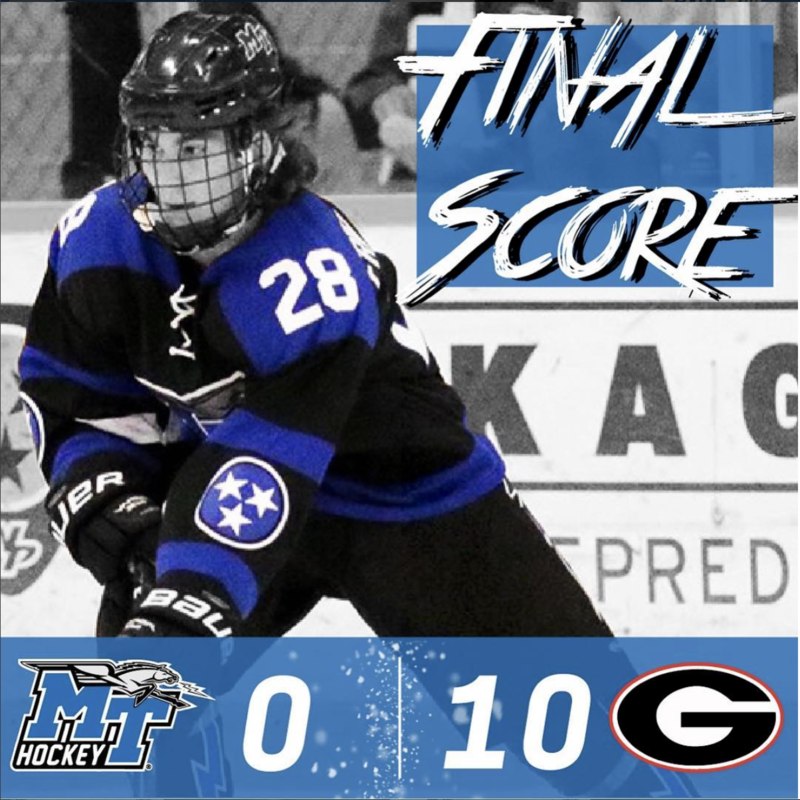 Then the Blue Raiders caught fire in the third period, reeling off five third-period goals to blow out their in-state rival. Nick Kristinus led the team with four goals and an assist for a five-point night, followed by Connor Linkowski, who scored two goals and added an assist. Patrick Shannon and Jacob Fink each added a goal and Shannon tallied an assist. 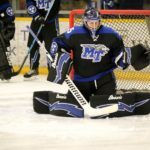 As impressive as the MTSU offense was, Josh Freidenburger in goal was equally impressive. He stopped 57 of the 60 shots he faced, posting a .950 save percentage. 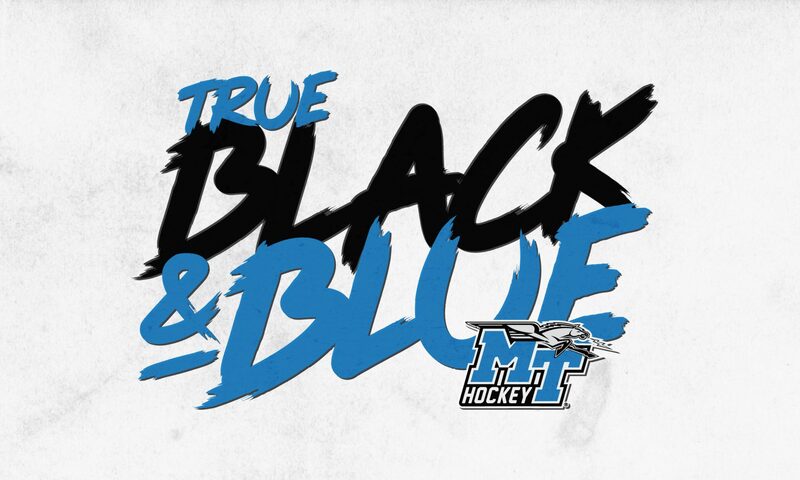 MTSU returns to the ice on Saturday, Sept. 29 against UMass Lowell at Ford Ice Center.